Doing things properly and thoroughly … takes … time. Rushing to get done is so tempting. Start up culture says GO FAST. Grow as fast as possible so that you can make as much money as possible as quickly as possible, they say. They might say “make promises now to get the money you need, and figure out how to fulfill those promises later.” The challenge in any startup is that the product has to be ready to sell before you can sell it and make money. This might mean years of development with a full team of people working towards that product. The typical response to this conundrum is to find some wealthy people who have a couple extra million to play with. “GO FAST”, they say, “we need our money back soon.” But making the highest quality water filters requires a different kind of energy and effort. To invent the water filters and really get it right, I need to GO SLOW. I need to take the time to really fully think about what I’m doing. When the experiment does not go well, I need to take a deep breath improve the experiment and do it again, even though it is tempting to rush ahead to the next step. Currently I am aiming at a water filter prototype, and let me tell you, I am very excited to have it done. Maybe as soon as the prototype is done then I’ll be able to raise the money needed to sort out all the other variables and start production. I would hire a stellar group of experts, who would compliment my knowledge, then make the water filter even more brilliant. Whew, I’d better SLOW down here. First I need to have a workable filter. If I don’t sort out enough of the variables to make the filter meet the minimum quality I will not have anything for anyone to work on! The variables I’m attacking are not intuitive, are fiddly, hidden, challenging, unknown, and expensive to sort out. I need a steady composure and a running start to get through some of them. Luckily I have composure, funding, access to great researchers such as Bill Carty, and access to resources such as laboratories, libraries, the best academic journals in the world, more than one, microbiology expert, and most importantly the time to do the work thoroughly, and SLOWLY. It’s actually quite exciting and it feels like a grand adventure. Now is probably a good time to mention that I have hired a local Ceramic Engineer to work with me a little each week. He is Tom Steere, and has been a positive force helping at every turn. His help enables a kind of thoroughness where the SLOW process fully blooms. Later this week an Intern in Microbiology, Cheyanne Smith, will be joining me for the rest of the summer. More on her in a later post. I also have received financial support from two families I’m close to. This will keep the work properly funded for a couple of months. Their financial support has enabled me to hire Tom, Cheyanne and also hire a microbiology consultant, Mary Merner. Now some very good news. My most recent results suggest that I am extremely close to a working prototype. This has been giving me ample opportunity to take some deep breaths and go SLOW. The requirements that the filter have to meet are 1) Bacteria Killed 2)No harmful chemicals put into the water 3)Throughput (the amount of water produced per day) 4) Cost. The results from the last test are 7 of 9 samples meeting the bacteria requirement, most of the samples meeting the chemical requirement, but only one meeting the throughput and cost requirements. I have quite a number of ideas to improve the throughput and cost, but it will take a few more weeks to months to sort out those improvements. 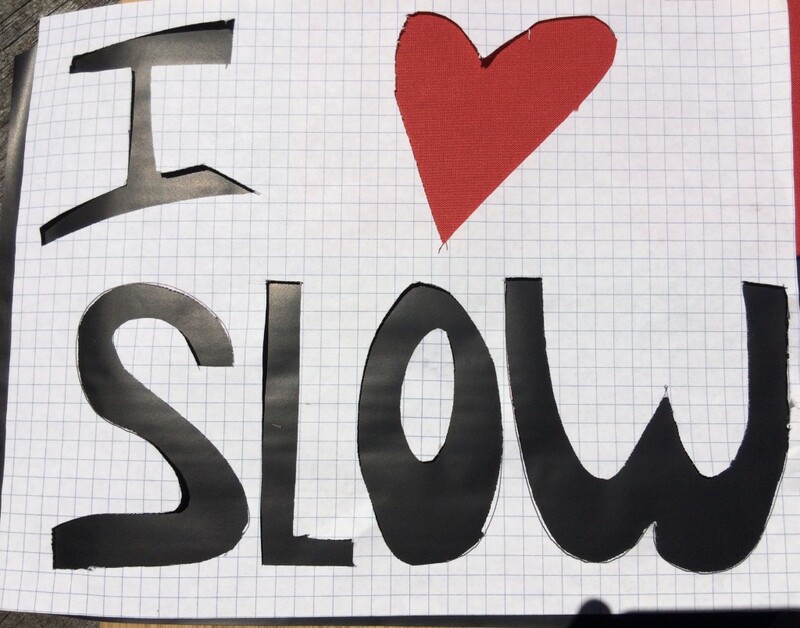 Don’t worry, I’ll go SLOW. I have been reading, watching and listening to everything I can about the Startup Culture. Go FAST they say. Don’t sweat the details. If something doesn’t work out, just go out and get some more money to solve it. I’m not interested in that. I take my inspiration from the slow foods movement. I like healthier organic food even though it means that it takes more effort to produce, and more people. I want my food produced locally, especially if the farmers are part of my community. Also the money then stays in my community. The slow foods movement has character, integrity and really truly makes communities thrive. I also want to put the same pizzaz, care and effort into the water filters. Wish me luck! This entry was posted in activities-water-filters, Blog on July 26, 2016 by Nick.